Partner Scott Mollen was quoted in Crains, responding to a lawsuit filed against client, 41-45 Property Owner LLC, a Park Avenue condominium accused by Sotheby's International Realty for allegedly failing to pay a commission on the sale of a $31.5 million unit to Arte Moreno, owner of the Los Angeles Angels. Sotheby's claims that its agent first showed Moreno the property, which entitles them to a commission upon the purchase of a unit at the development. 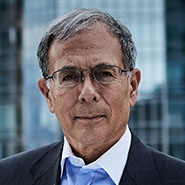 Mollen called the lawsuit "baseless" and further stated "[t]he purchaser never closed on a unit, the complaint has the wrong apartment, the wrong purchase price and the purchaser stopped working with the Sotheby's broker many months before the purchaser was making its decision to purchase and had so advised the sponsor." Mollen was also similarly quoted in a New York Post article discussing the same lawsuit.